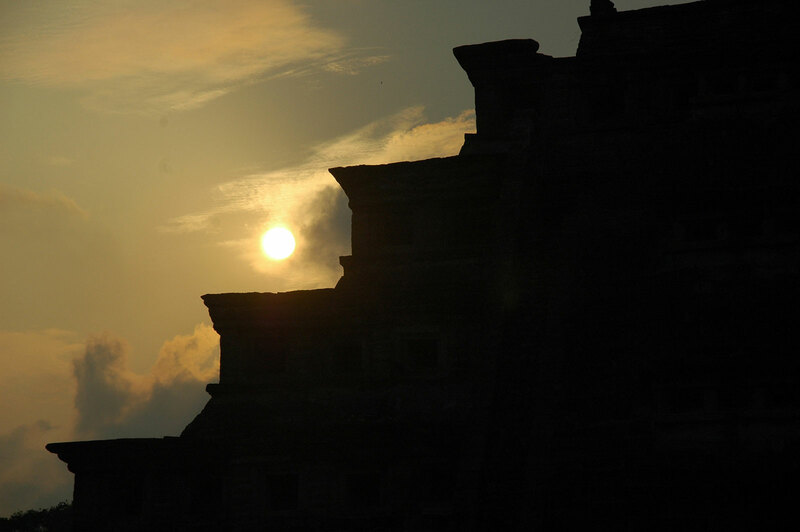 The sacred city of El Tajín is the physical and the spiritual capital of Totonacapan. 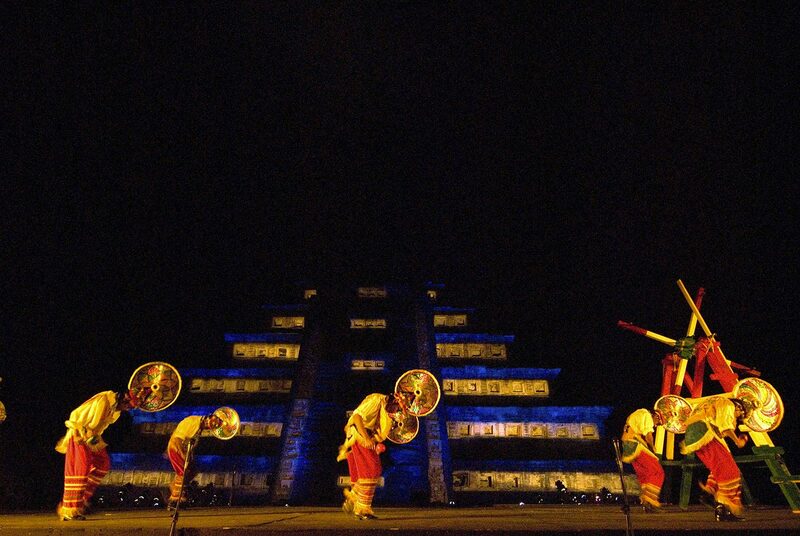 El Tajín means “Place of Thunder” in the Totonac language and was also one of the names of their god of thunder, lightning and rain. 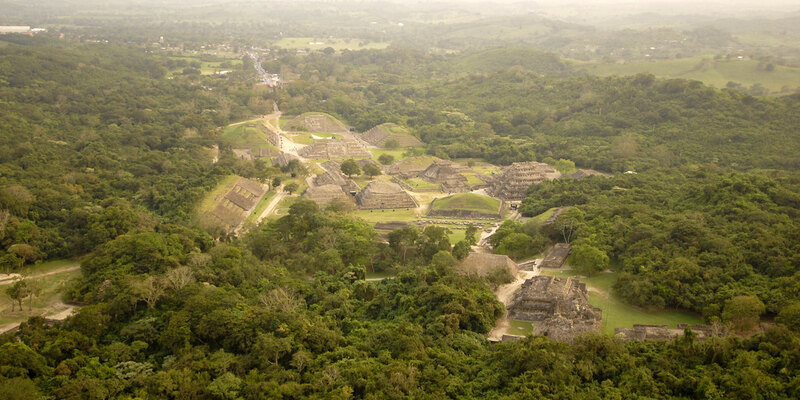 The city was created in 300 BC but archaeologists think that this ceremonial and residential city only reached its peak between 800 and 1200 AD. 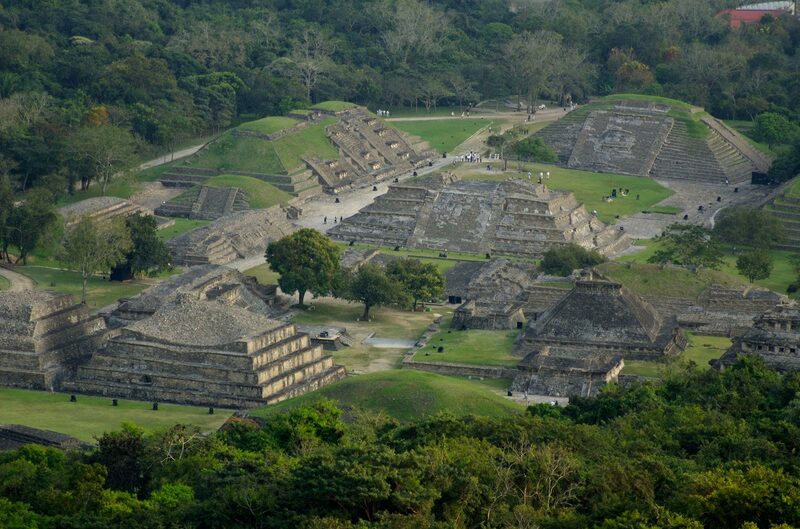 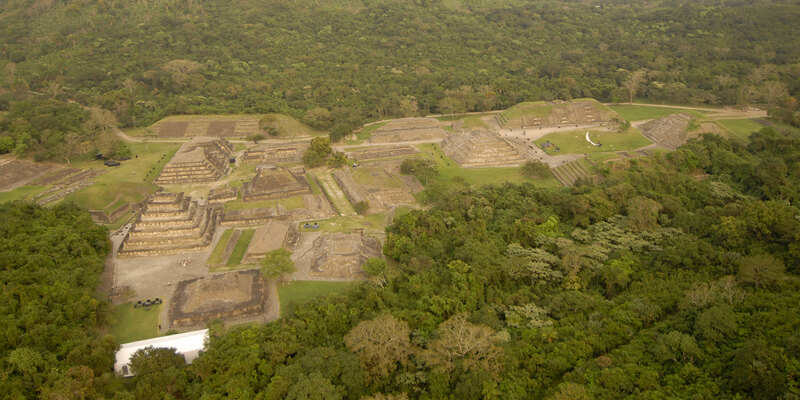 El Tajín is a pre-Columbian archaeological site located near the vanilla-producing village of Papantla, southeast of Poza Rica, Veracruz in Mexico. 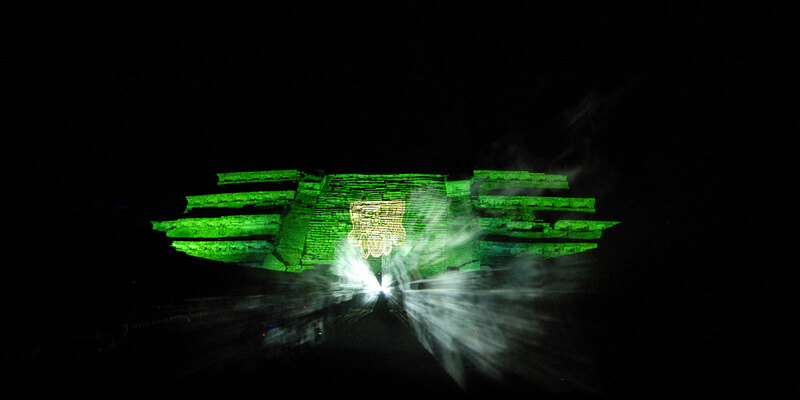 This place remains an outstanding example of the magnificence of Totonac civilization. 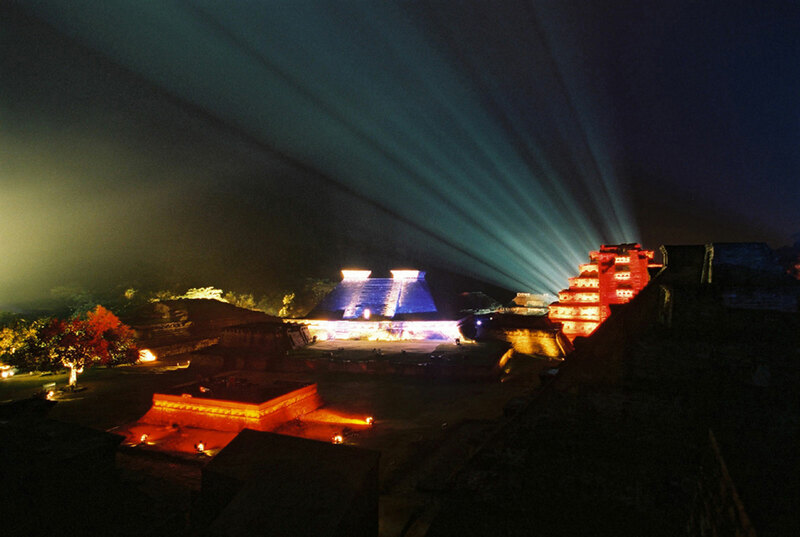 Since 1992, it has been listed as a UNESCO world heritage site. 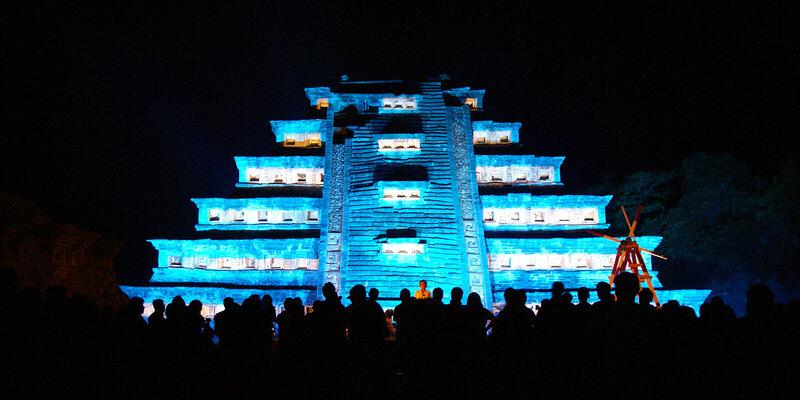 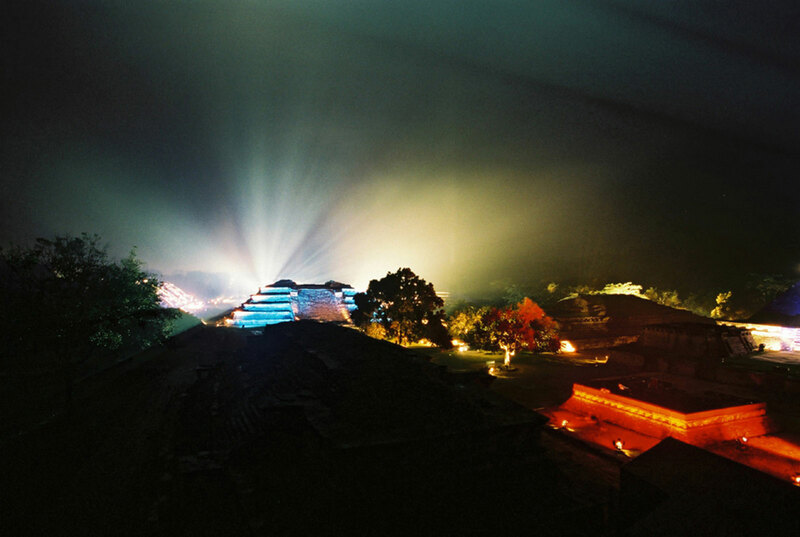 By night, El Tajín offers an incredible and unforgettable experience. 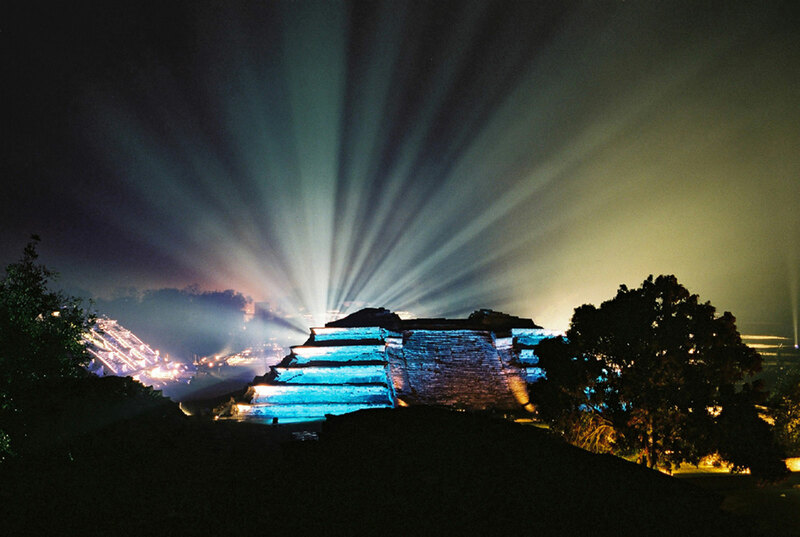 Spectators are split into small groups to enable them to see the archaeological site in a different light. 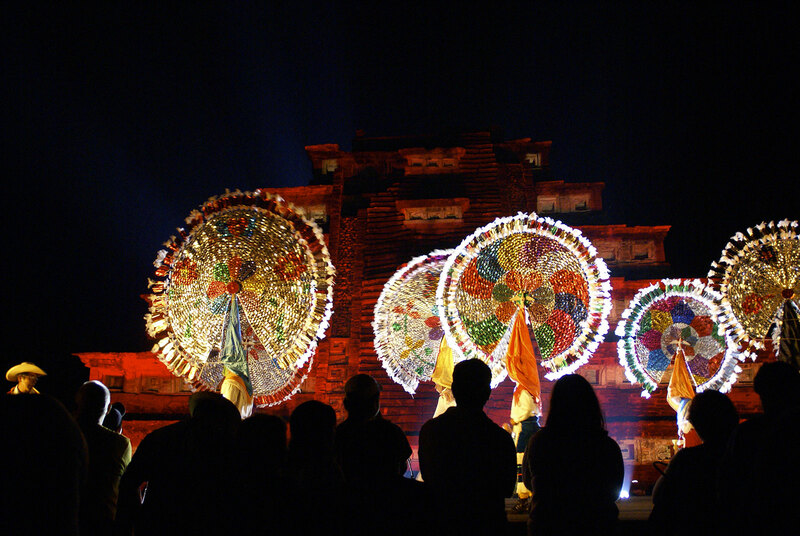 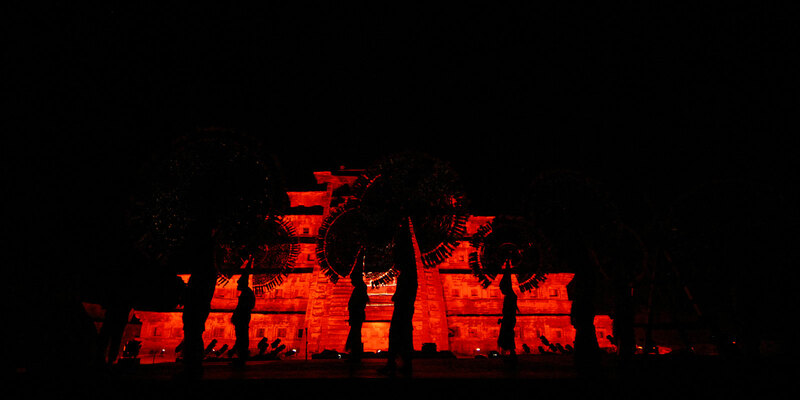 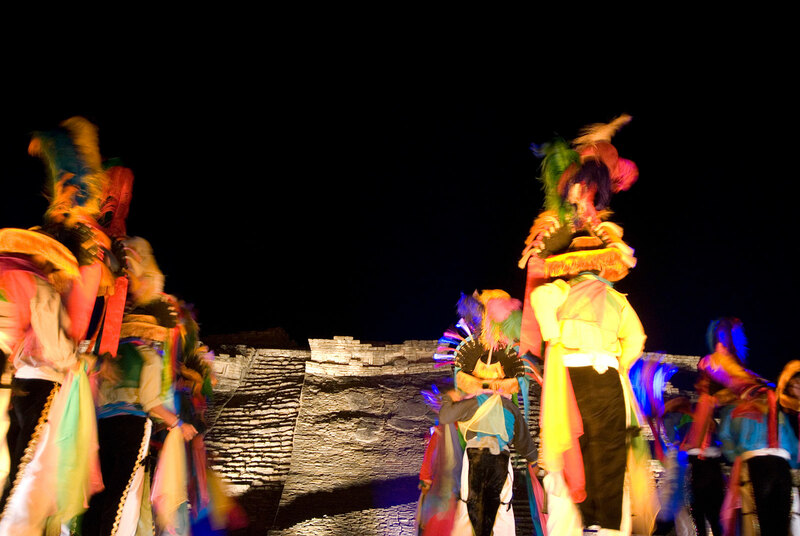 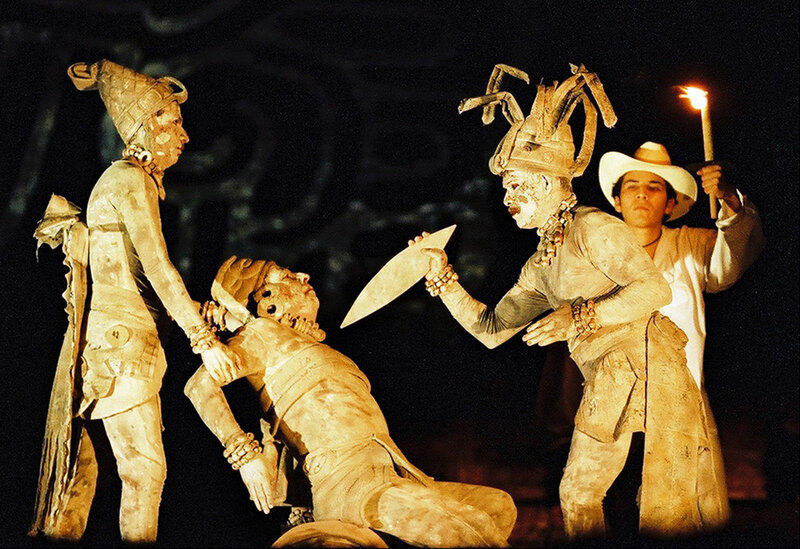 The dances, songs, offerings and poems of Totonac tradition are illustrated through the projection of wide-format images, an original soundtrack and the lighting of the pyramids, as the mystery of this fascinating civilization unfold. 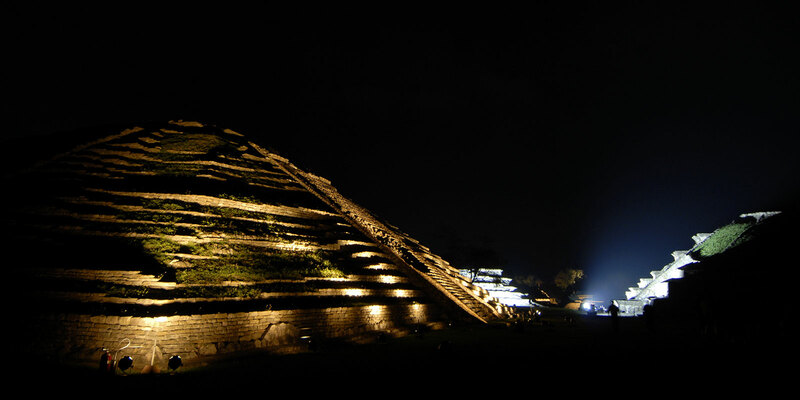 In this way, spectators have the opportunity to admire famous monuments such as the pyramids of the Arroyo Group, Dios Tajín, the Pyramid of the Niches, and the traditional Juego de Pelota ball court from a new angle.